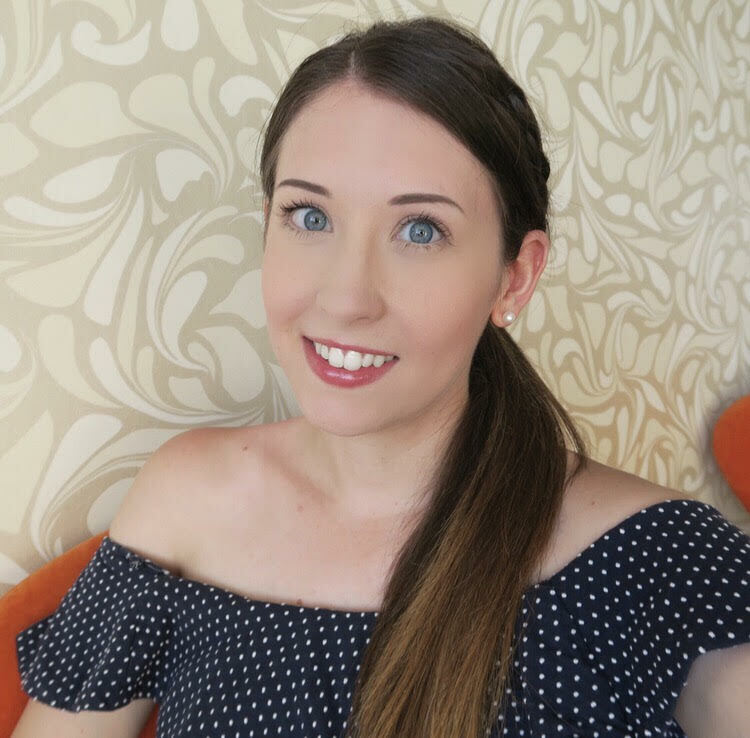 You may remember around this time last year I wrote about why I switched to using Sulfate free haircare after dying my hair. Since then I’ve kept up my sulfate free hair care routine. 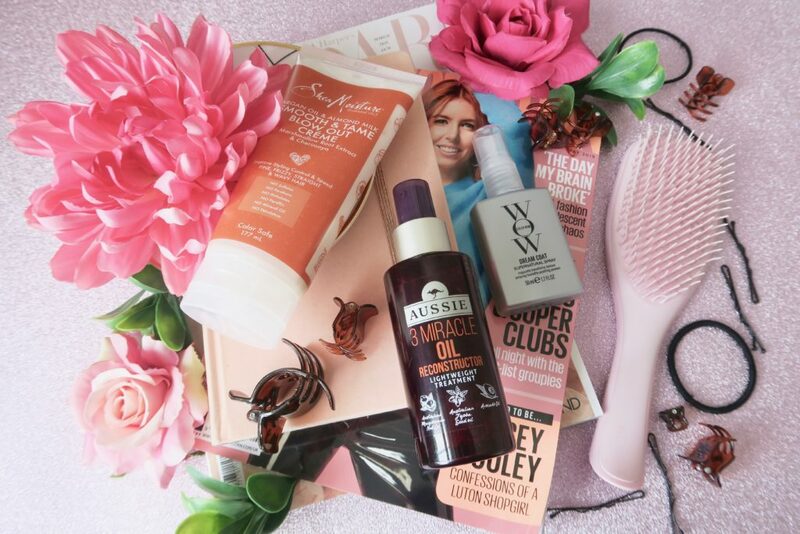 I’ve tried more products, many which I’ve adopted into my daily and weekly haircare routines to try and keep my frizz at bay and maintain my colour. Today I thought I’d give you a little update on what I’m loving, and why I think you should give them a go too. I first heard the hype about dream coat from my hairdresser. She swore that it helped keep hair frizz-free and silky. She used it on my hair and I have to admit I was impressed with the results. Its described as a serum for the hair that has amazing humidity proof powers. Basically meaning it stops your hair from turning into a frizz ball. This product has also been tailored for coloured hair as its made with a “heat activated polymer”. Meaning it seals and compresses the strands of the hair so they look sleek and shiny minimising any dryness you sometimes experience with dyed hair. I use it after I’ve washed my hair and I’m getting ready to blow dry it. Its best applied when the hair is damp/towel dried. I liberally spray it throughout and give my hair a brush through. Once the heat from the hairdryer is applied it gets to work. You are left with lovely silky hair with no frizz in sight. The product doesn’t feel weighty either so you don’t get that gross build up that you can sometimes experience with other products. 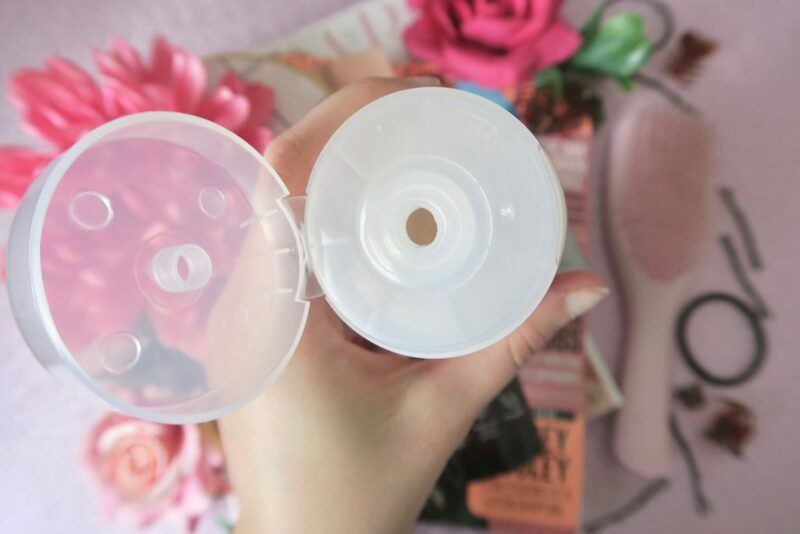 The product even claims to have lasting effects for up to 3 washes! This product is quite expensive at £24 for £200ml. However I found that Feel Unique do a 50ml for £12 so you can test to see how you get on with it before you buy the full size. Shea Moisture were the brand I featured when I first started looking into sulfate free haircare. I really enjoyed using their argan oil and almond milk shampoo and conditioners. I recently also got the chance to try out their blow out creme from the same line. 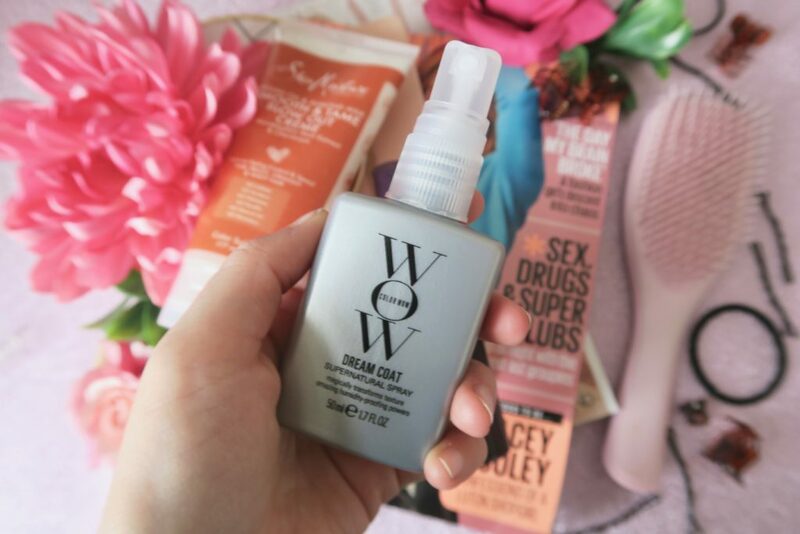 The purpose of this product is to tame unruly frizz (similar to color wow). The blow out crème is conditioning due to the ingredients of argan oil, shea butter and almond milk. This is another product to use when hair is damp. I take a small sized amount in my hands and apply it through my wet hair. I’ll then blow dry it. Although this product is a cream it doesn’t feel heavy on the hair and it smells good. It leaves my hair feeling soft and manageable. 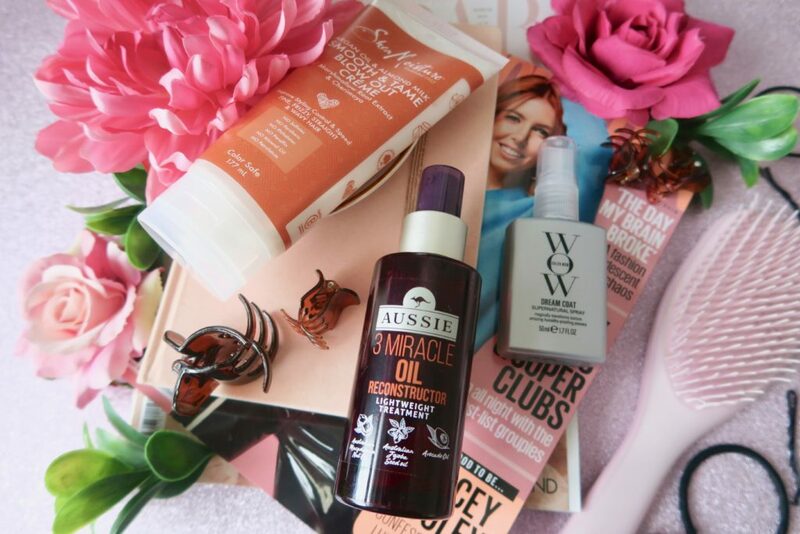 All Aussie hair products I’ve seen before smell so lovely, so when I spied this new oil on the shelves I knew I have to try it. I was particularly interested in the “lightweight” treatment. 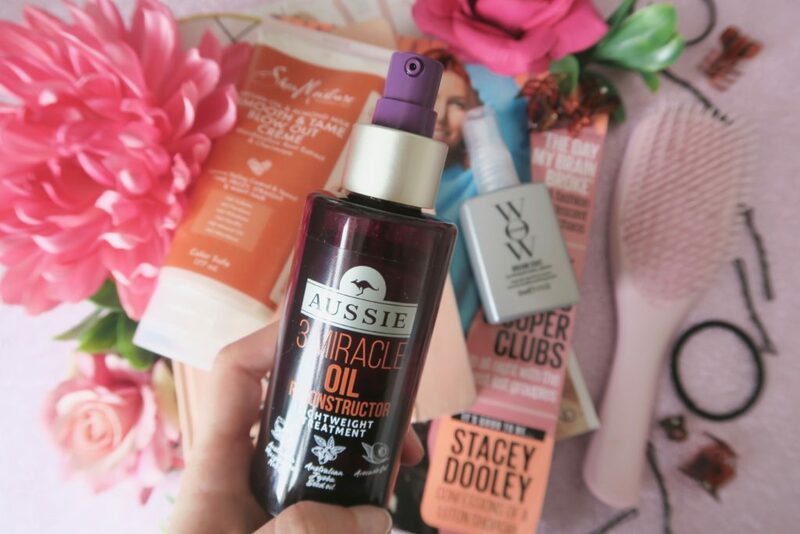 Many hair oils I have tried before are extremely thick and can tend to drag our hair down a bit if over used. The formula is non greasy and contains Macadamia nut oil, jojoba oil and avocado oil. Its made with damaged hair in mind. I will usually apply this to towel dried hair and leave it to dry. I’m left with my coloured locks feeling soft and silky. So those are my current favourite picks for colour treated and frizzy hair. Do you have any “must haves” in your haircare arsenal?